By John BowmanAs news of the walkout spread, Red Shirt-Shaw began posting about it on Twitter under the hashtag #NotYourHollywoodIndian, which was inspired by some of the actors' comments. "I logged into social media and saw that a ton of people were talking about it, but that the ideas weren't consolidated, so I decided to try to push it out there," she said. "I'm just moved by how it has grown and seeing the people come out and support it, and seeing news articles reference it," said Red Shirt-Shaw. "I think that we have to stand as a united front." She also co-founded a petition on Change.org urging Netflix to cancel the production of The Ridiculous Six. "We're really hoping that we can build up the signatures that are on there and present this to Netflix in a way that will say 'We're not going to support you. People have already cancelled their subscriptions. You guys really need to evaluate whether or not this is a project you want to move forward with in the future,'" she said. So far, Netflix remains committed to the movie.Can the recycled bigotry of Adam Sandler's Ridiculous Six do some good? By Jaynie ParrishThe image of a 21st century American Indian is a twisted reality, especially in Hollywood and sports. Of course that’s been true since the first films were made about American Indians—or the first team names were chosen. That’s the legacy of the old world. But, like many other marginalized groups, social media gives us a different way to amplify our message. Hashtags like these allow people to say what they believe without the filter of the mainstream press–and even to the mainstream press. Being heard gives us the ability to hold people accountable, even big name movie stars. 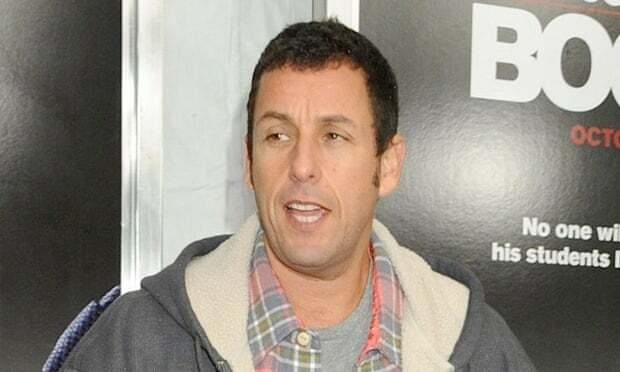 By Arturo R. GarcíaWhat, if anything, could Sandler and Netflix do to help remedy the situation? Red-Shirt Shaw: I would be lying if I didn’t say I hope they cancel this film—but I’m also still waiting to hear from the comedian himself. Until then, let’s keep telling him “Hey Adam, we’re #NotYourHollywoodIndian—let’s talk.”What do you think? What happens next, both for this campaign and Native In America? By Russell ContrerasIn recent years, Native Americans have been more outspoken. For example, in 2013, some Native Americans were critical of Johnny Depp's portrayal on Tonto in the Disney version adaptation of "The Lone Ranger." Depp spoke in broken English, chanted prayers and wore a stuffed crow on his head. However, after a campaign by the movie to improve its image with Native Americans, Depp was eventually embraced on the Navajo Nation and was later adopted into the Comanche Nation. A year before, the band No Doubt was forced to apologize and pull the music video "Looking Hot" after lead singer Gwen Stefani was criticize for dancing around teepees and wearing a series of American Indian-styled outfits.Comment: I believe activists tried to create a Twitterstorm using the #NotYourHollywoodIndian tag. But I saw only a few postings on the subject, and didn't hear anything about it afterward. I don't think it was a big success. For more on Adam Sandler, see Native Actors Denounce Sandler and Vanilla Ice Defends Ridiculous 6. I thought after white college kids sent death threats to Indians on Twitter because Colbert told a joke that took >140 chars, we agreed the "not your X" snowclone was no longer to be used.